Ms. Buhrig serves as Executive Vice President, General Counsel and Secretary for the general partner of CVR Refining, LP, as well as Executive Vice President, General Counsel and Secretary for CVR Energy, Inc. and the general partner of CVR Partners, LP. 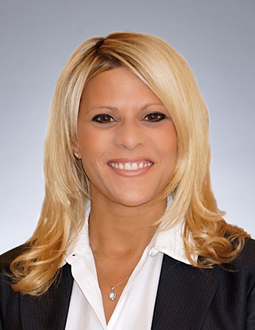 Prior to joining CVR Energy, Ms. Buhrig was Executive Vice President, General Counsel and Secretary of Delek US Holdings, Inc. and the general partner of Delek Logistics Partners, LP since October 2017. Before joining Delek, she served as Senior Vice President – Services and Compliance Officer for Western Refining, Inc. and the general partner of Western Refining Logistics, LP. Ms. Buhrig joined Western Refining in 2005 as Deputy General Counsel and held roles of increasing responsibility including Vice President, Assistant General Counsel and Assistant Secretary. In 2014, she joined the general partner of Northern Tier Energy LP as Executive Vice President, General Counsel, Secretary and Compliance Officer until completion of the merger between Western Refining and Northern Tier Energy in 2016. Ms. Buhrig received a Bachelor of Arts in Political Science from the University of Michigan and a Juris Doctor with honors from the University of Miami School of Law. Copyright © 2019 CVR Refining, LP. All rights reserved.